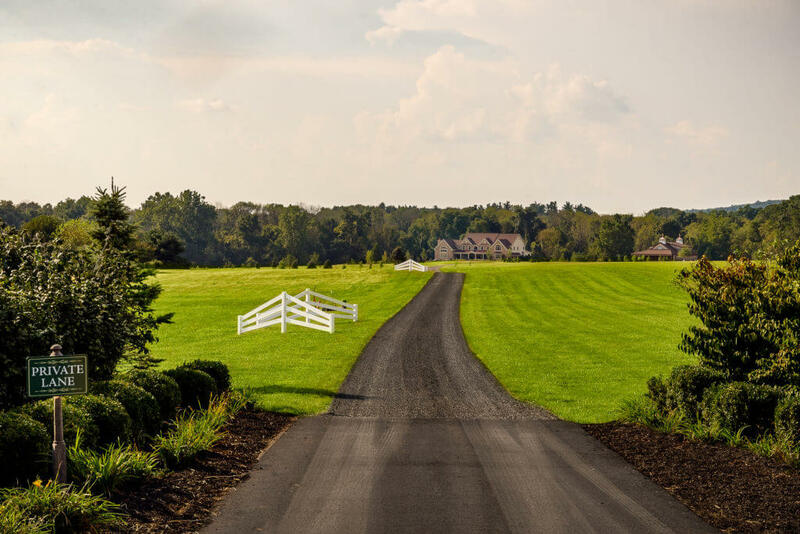 Each of the three lots at Sycamore Hollow Farms in Buckingham Township places the house far off the road. There is an expanse of level, verdant land just waiting for the buyer seeking a location for a new custom home with plenty of space for a guest house, barn, equestrian facilities or hobby farm. Sycamore Hollow Farms, which consists of 114 conserved acres divided into three substantial lots, is just behind the historical village of Wycombe in Buckingham Township. One of the lots, clocking in at 24.4 acres, is vacant and ready for construction to begin. The second lot is 23.6 acres with a small 18th-century stone farmhouse and pond set far off the road. Renovate and incorporate this settler’s house into a larger home, or start fresh. The third lot, at 66 acres, has an existing custom home completed by the builder so you can see first-hand the construction, finishes and many options available. The pricing for both of the lots includes the services of the builder and a designer who will review your options and advise you. The 24.4-acre lot is $1,799,990 with building package. 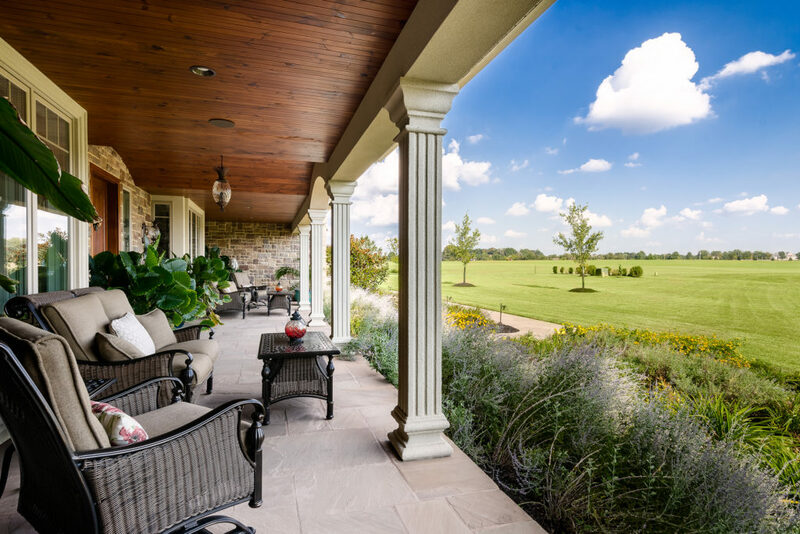 The 23.6-acre lot is $1,499,990 to build a 3,400-square-foot custom home or $1,399,990 to restore and add on to the existing stone house. 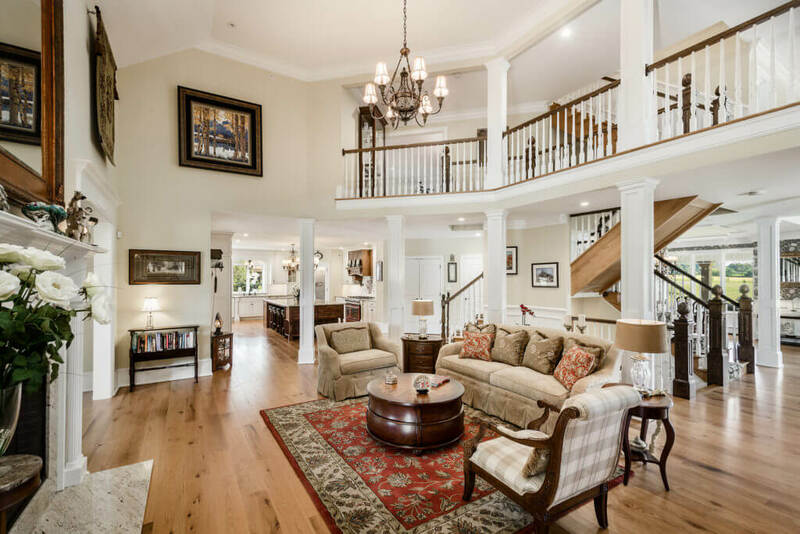 The completed 7,400-square-foot house on 66 acres is priced at $2,999,990. Contact Sharon Angle for more information: 215.815.8790.